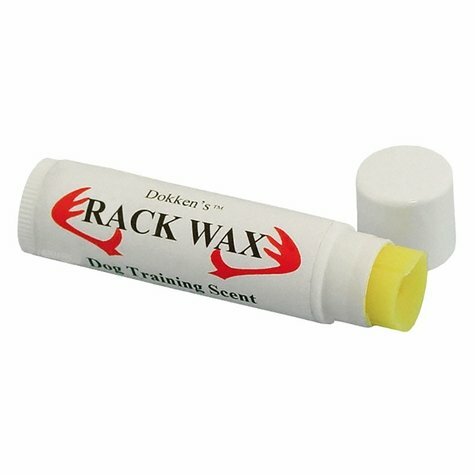 Dokken Shed-Dog Rack Wax Dog Training Scent Stick. $9.95. "I have found Dokken's Rack Wax very helpful in training dogs to find sheds." I have found Dokken's Rack Wax very helpful in training dogs to find sheds. Once applied to the antler, the scent of the wax seems to stick to the antler for a few weeks. "Took our shed dog training to a new level"
My name is John Yarborough. Me and my dad Mark Yarborough have run a training kennel "Hard Line Retrievers" for quite some time, and dockens rack wax took our shed dog training to a new level. I would recommend this product for any body training a shed hunting dog. "I watched Dokken's dvd and followed his steps and it worked great!" I watched Dokken's dvd and followed his steps and it worked great! It was amazing to watch the dog smell the horns from so far away with just the rack wax on them. The best part was I got the product at a good price and shipped very quick. Thanks! Product was excellent. Buying 2 more next week. "Great scent made my little Brittnay more keen on retrieving sheds." Great scent made my little Brittnay more keen on retrieving sheds. Product worked great, and on the first outing the labs found the hidden sheds without any issues. Haven't had a chance to try the training on real sheds, but the wax did great. This is very good scent. The first time that I smeared it on a small antler and then hid the antler, it worked! I hid the antler first, then went and brought the dog out and made sure that he was working into the wind. He found the antler in no time. The second session I hid the antler in the snow; again, bang, right to it. A day or so before the first training session with the antler, I rubbed a bit of the scent on his lip and nose. So far, so good. Spring in Maine is nearly here and snow levels are dropping. It's time to take rifle into the woods and do a for-real antler hunt! Thanks for a great product. Good stuff! My dog loves it!! The tax wax definitely made my pup more excited about searching for shed antlers that I plant. I'll find out this spring if it helped him to find the real thing. A lot easier than the Dogbone Liquid. It fits easily in your pocket. "So far it's been working well with him finding the shed." This is new to me and my dog. So far it's been working well with him finding the shed. I've been training him on our property. Can't wait till the end of late deer season to start shed hunting. Thanks! "The downside is a small quantity for the money compared to some liquid shed scents." I liked the wax vs. a liquid as it stays on the shed better and is also easier to apply. The downside is a small quantity for the money compared to some liquid shed scents. "I guess we will see in the next couple of months if this translates into him picking up natural sheds in the field." I have my seven year old German shorthair that I just started on shed hunting retrieving sheds. I use this product, but I am concerned with it being a whitetail shed scent, and I only have Mule deer in my area. However, the dog picks up the scent and finds every antler I place, even after I wash them and put this on the base. I guess we will see in the next couple of months if this translates into him picking up natural sheds in the field. I used it to train my three year old bird dog, had very good success on mule deer and elk. Now I'm using it to train his pup. 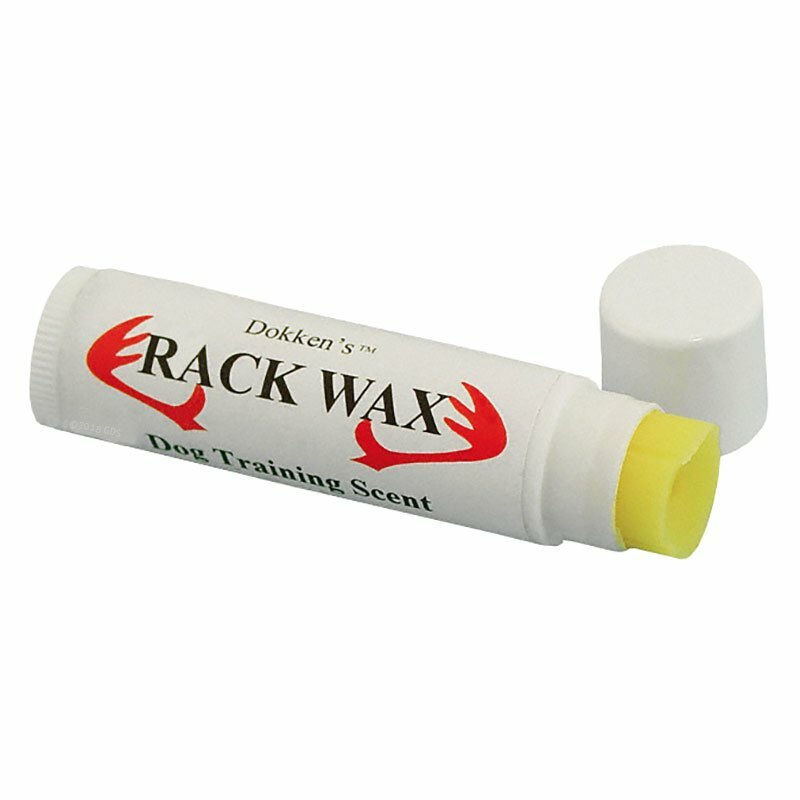 Dokken's Rack Wax is designed for use in shed dog training. Apply to a shed antler or Dokken Shed Dog Antler Silhouettes for a more potent antler scent.